HomeCinemaMasalaHrithik Roshan turned teacher for his children. Hrithik Roshan turned teacher for his children. Hrithik Roshan who has always set parenting goals by being an ideal father has done it yet again. Amidst his hectic shoot schedules for Kaabil and managing other commitments, Hrithik Roshan finds time and has been doodling and scribbling. The actor has been practicing to draw figures. 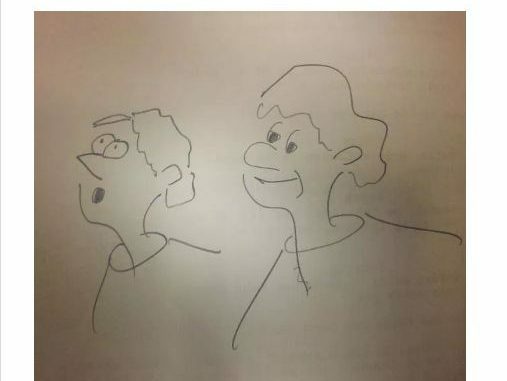 No, the actor isn’t brushing up his drawing skills for a film but has been doing so for his children. 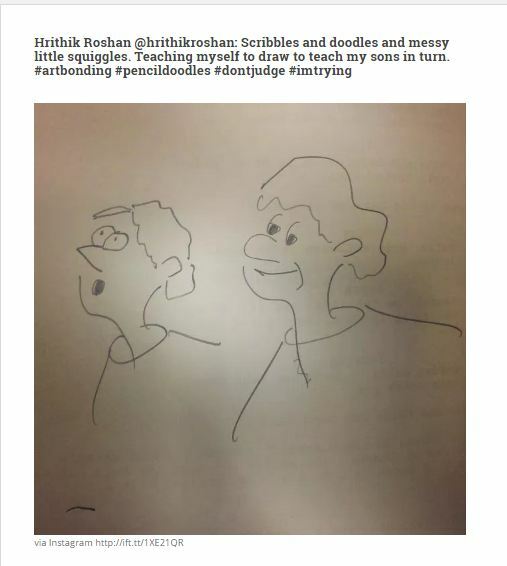 Hrithik’s children Hrehaan and Hredan were in need of a drawing teacher and Hrithik took it upon himself to help his kids learn. Before setting up teaching sessions for his children, Hrithik has been spending time familiarizing himself with the long forgotten form of art. The actor has been scribbling and doodling in his free time in order to pass on the right teaching to his two bundle of joy. Hrithik’s sweet gesture for his kids sure highlights that the actor doesn’t miss a chance to spend time with his children as opposed to sending his kids to a drawing teacher. Teaser of Ankit Tiwari’s ‘Badtameez’ out Now! When Tim Cook met Sanjay Dutt!